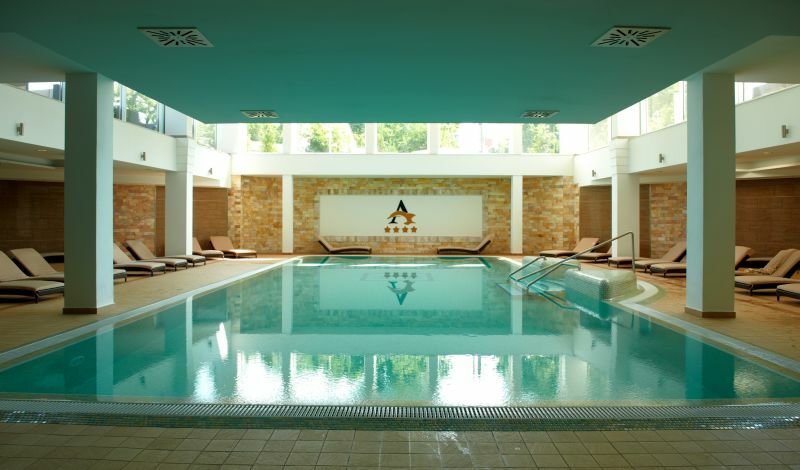 Hotel Atlantis****superior Medical, Wellness & Conference is a brand new four-star hotel in Hajdúszoboszló. 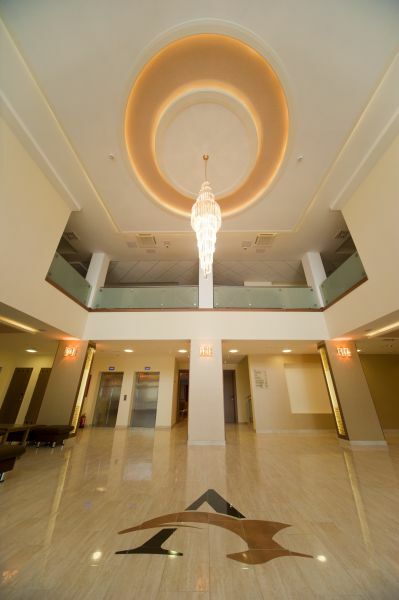 Hotel Atlantis****superior Medical, Wellness & Conference is a brand new four-star hotel in Hajdúszoboszló. 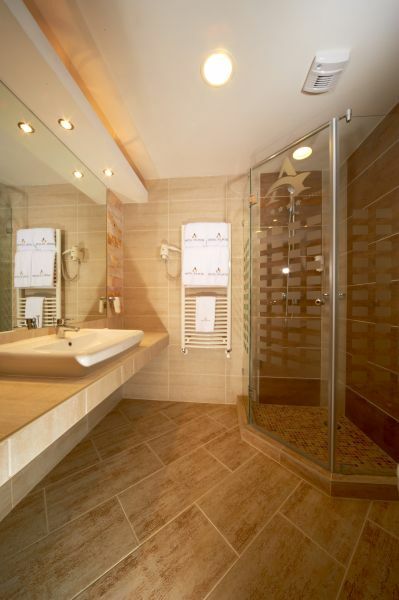 It is situated close to the famous thermal spa and was built in modern style. The Avant-garde design and the elegant, new look represents a new dash of colour in town. The view from the room’s terrace is stunning, facing the advantageous Aqua-Palace and the gentle boating lake. The hotel has 7 floors within 8.000 square meters. The whole area of the hotel, including the rooms is air-conditioned and can be controlled individually. Landline and wireless internet connection is provided everywhere inside the hotel. 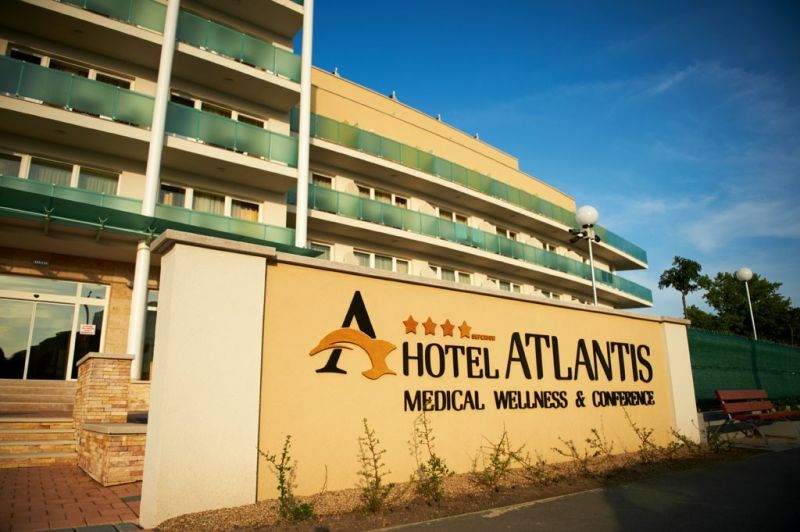 With its three profiles Hotel Atlantis**** superior is a perfect place for mental refreshment, leisure as well as business purposes. Our mission is to guarantee complete recreation and unforgettable moments for each and every guests, all with the help of highly-skilled staff and quality services. 97 rooms serve our guest’s pleasure. Among those there are 13 apartments, 2 rooms for physically disabled, 2 suites with own Jacuzzi, each of them equipped with a balcony. Everybody can find a way to enjoy the relaxation in the 900 m2 wellness area of the hotel. The natural light illuminating the water creates a special atmosphere in the whole pool area, where the swimming pool, thermal water pool, kids’ pool and a special pool with light-and entertainment elements can be found. 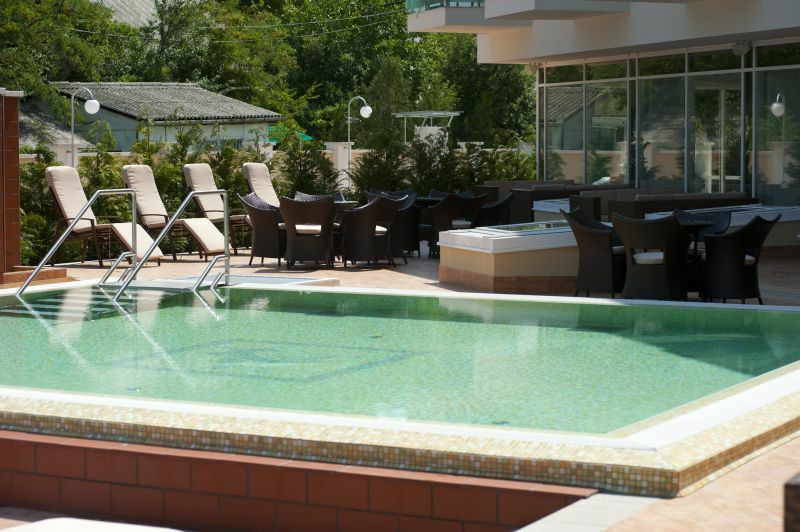 From the indoor spa we can easily reach the outdoor wellness area with sun beds. Finnish sauna, infrasauna, biosauna, steam bath, ice-cabin and salt-cabin also serve those holiday makers who crave for relaxation as well as massage cabins and a large resting area. 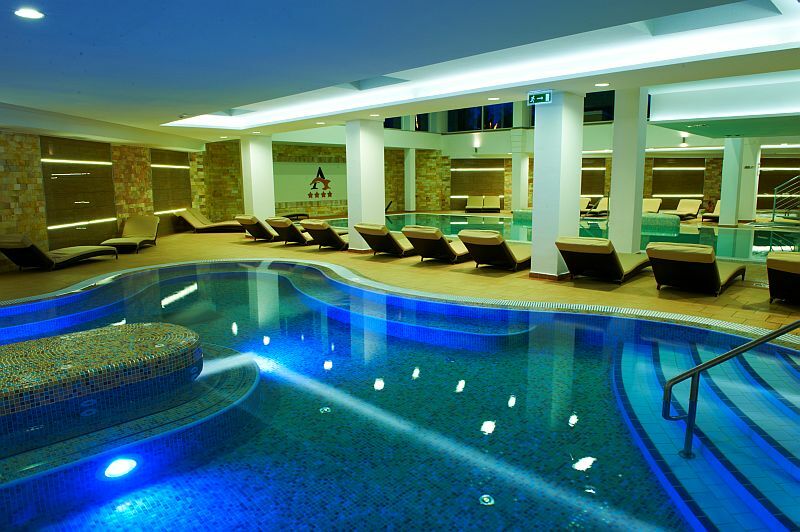 Within the wellness services of the hotel you can find different kinds of sauna seances and massages as well as aqua fitness to make the refreshment perfect. On the medical department numerous rheumatological illnesses can be treated by our unique methods offered by specialists. The high standard services are completed with a 35 m2 fitness room equipped with modern cardio-machines. Our guests can choose from several refreshing drinks, shakes or coffee-and tea specialities in the wellness bar. While designing and constructing Hotel Atlantis**** superior Medical, Wellness & Conference a great emphasis was put on the conference services. It is perfect for organizing bigger events, smaller trainings, boardmeetings or exclusive business meetings. All the event rooms are equipped with modern, up-to-date technical equipment including audio-and video devices and a 24 hour business center. 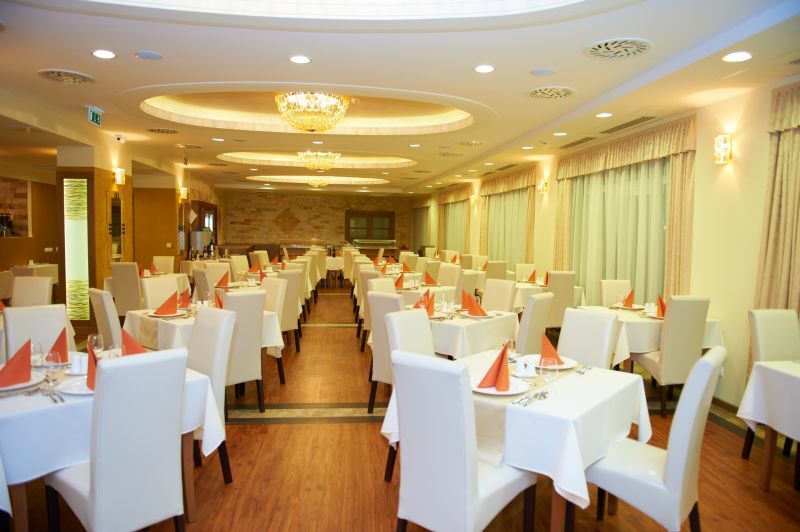 The restaurant waits for the guests with a’la carte specialities and buffet menus. A wide range of the region`s most famous dishes as well as representatives of the international and “Atlantis-art” cuisine can also be found on the Menu. With live music-shows, the grill-terrace – with the capacity to host 50 people- will be the main spot of summer nights. In the hotel bar you can choose from several coffee-and tea specialities, more than 20 kinds of cocktails, delicious sweets and ice-creams. To enrich our services we provide a kids’ playing room to become a family-friendly hotel. Child supervision and program organizing is done by experts. Several other possibility serves your convenience, such as: room service, laundry, car-rental, wake-up service, event and program organizing, 24-hour reception, tickets purchasing to Aqua-Palace. Are you interested in the sights? Download our free mobile application and thanks to the English-language guide function you can get a lot of interesting information. Be up-to-date! Be notified about the current events of Hajdúszoboszló and the local news at first hand!